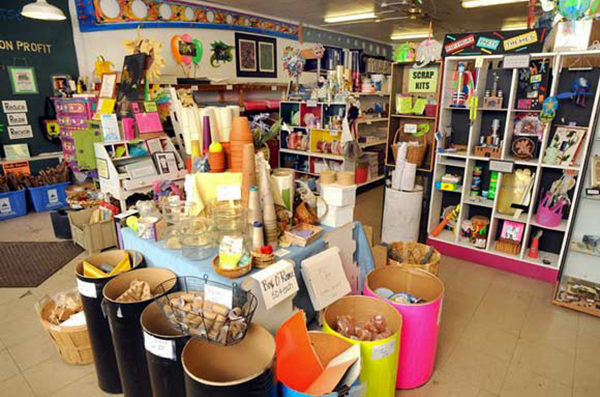 Do you know what a creative reuse center is? It is a place for reducing, reusing, and repurposing typical and atypical art making materials. People can drop off art and craft supplies, plus strange odds and ends that look like they should have a special place in an artist’s studio. It’s similar to dropping off a donation to Goodwill or the Salvation Army; the items will then be sold in a store at reduced prices benefitting other nonprofits, teachers, children, and artists. Because we are excited to share our inventory with you, but we don’t have the means to open the store yet, we will be getting a booth at the monthly craft fair, Hatch 605, starting in August. 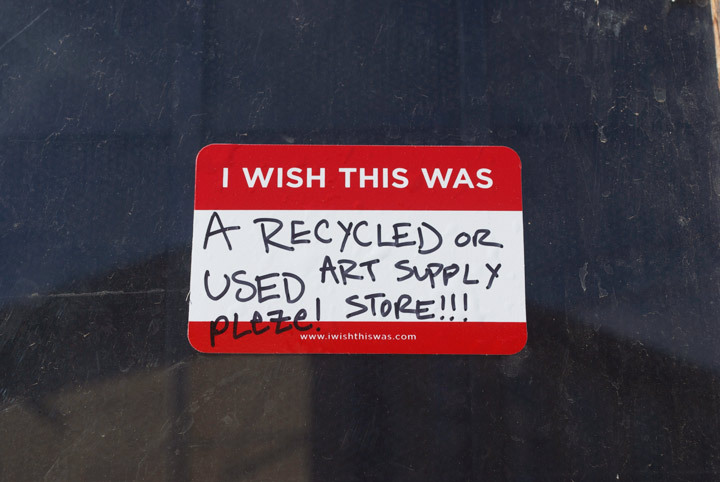 Sioux Falls is developing an appetite for supporting artists, and the fact that there are zero creative reuse centers in the state, I think our efforts will be well received. Here’s a link to a list of creative reuse center’s from around the WORLD! The creative reuse center pictured above is Art Scraps in St. Paul. The picture below is from a cool project done in New Orleans.